The safety and health of our students is our top priority. 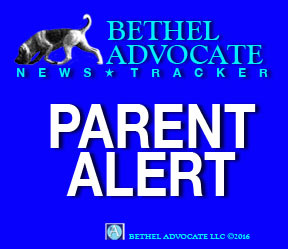 We want to make you aware that we are seeing an increase in vaping at both Bethel Middle School and Bethel High School. Vaping is the act of inhaling from a device like an electronic cigarette. Vape devices are called Electronic Nicotine Systems or ENDS. The Center for Disease Control has identified many harmful effects from the use of electronic cigarettes. Like cigarettes many of the vaping “juices” contain nicotine which is highly addictive and can harm adolescent brain development. “Juices” are the liquids that go into the e-cigarettes and come in a variety of flavors, making them popular with students. Flavors include Gummy Bears, Bubble Gum, etc. Some of the “juices” contain THC or the chemical in Marijuana responsible for the high. While the FDA requires an individual to be 18 to purchase electronic cigarettes, it is easily purchased online. The e-cigarette also varies in look. Some look like a flash drive and can be easily misidentified. In addition, sometimes the vapor, while smoking, can go undetected. Possession of a vaping device in school is a violation of school policy. We would encourage you to speak to your child about the harmful effects of vaping. We have included pictures below of some of the various types of devices which are on the market so you can be aware of the differences.